Ripped plastic bags, leftover food scraps, paper, plastic bottles and other objects mixed with mud and dirt litter the streets in Khartoum. Puddles left from rain mix with the waste of flies, mosquitos and other insects. Bad odours and unpleasant sites plague every neighbourhood in Khartoum during the rainy season. The drainage system is bad enough, but the waste problem in the capital has created a climate and health disaster. Waste disposal was once the responsibility of the government-funded Municipalities Council. Later, as the population grew and lifestyles changed in Khartoum State, the current government began charging people and companies for trash disposal in the 1990s. The privatisation of trash collecting companies, however, and the costs that come with them have come under fire: Sudan’s Democracy First Group released a statement this past August accusing sanitation authorities in Khartoum of corruption and incompetence in handling the capital’s daily waste. Sudan produces around 24,000 tonnes of waste on a daily basis. According to its Director, Malik Bashir, the Khartoum Cleaning Corporation handles Khartoum’s 7,000 tonnes of daily rubbish and works in cooperation with municipalities under the supervision of the High Council of Environment and supervises the dumps, vehicles and staff through contracted private companies. Bashir admits that although the corporation is not 100 percent pleased with the work of private waste companies, he says, “for the most part, the cleaning corporation is doing a good job”. He adds: “The trucks are in good shape, and so are the dumps.” Bashir believes “there’s no such thing as ‘zero waste’ anywhere in the world”. Yet, Khartoum residents like Intisar Mahjoub, who lives in Bahrykh does not think the municipalities are doing as great a job as Bashir claims: “There are fees taken from each household, yet the truck doesn’t come regularly. Citizens take their trash to the assigned places, but since the trucks don’t come for the pick-up on time, the trash piles up and causes all sorts of issues,” she says. Mahjoub believes that privatising waste management was a mistake and alleges that the money goes into the pockets of individuals, instead of the fees going to the municipalities that could improve the service. Dumps are located close to residential areas, homeless people and illegal recyclers digging through the piles and medical waste adds to trash pollution. 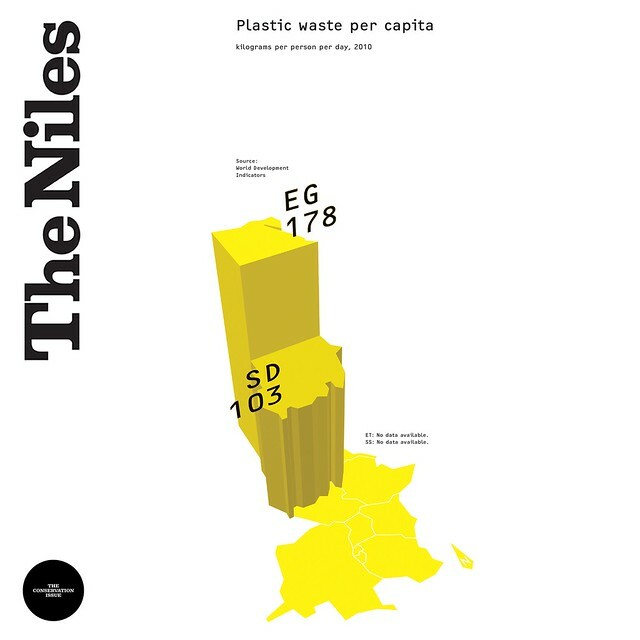 Dumping waste directly into water sources, including the Nile, especially industrial liquid waste from factories, leak into groundwater, creating dangers to public health. Worst of all is the electronic waste. Murdas identified four areas of focus in dealing with the waste issue: reduction of plastics, recycling, using organic materials for recycling and dedicating research for best practice, reuse of bottles and materials, and rejecting the use of hazardous materials and replacing them with environment-friendly materials. Citizens or government not doing enough? Bashir, from the Khartoum Cleaning Corporation, claims that there are many ongoing plans to enhance waste disposal in Khartoum. Seven new medium stations are being established, new trucks are to be exported to have two appointments a week for the collection of domestic and commercial trash from the streets, and more containers are to be distributed. The changes and improvements are expected to be completed soon, says Bashir, with a major focus on societal awareness raising, which aims to regulate the garbage trucks by appointing particular pick up points and dates. Currently, the Cleaning Corporation is implementing a plan in two neighbourhoods with hopes that it will work in the entire state. 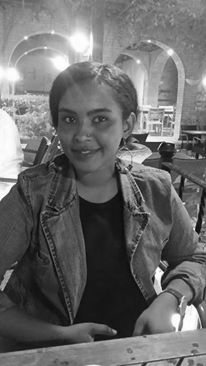 Najla Hassan, a resident in Khartoum 3, says that apart from the government not providing enough bins and the lack of regular pick-ups, citizens are not educated properly about responsible behaviour. I used to see people dumping waste on the streets or in the river, and I didn’t say anything; now I speak to them about it, and of course, I tell my children about environmental protection. I occasionally write articles in the local newspaper about environmental topics, which don’t get enough attention. Maybe I am not doing great things, but since last year I started to care; and I am planning to read and write more, and make small changes, starting in our home.